Chances are that even though you’re a copywriter, you could still hone your craft and become even better at your job. Luckily for you, the journey from good copywriter to great copywriter might only take you 25 minutes. Sam Saunders, dubbed “The Most Interesting Copywriter in the World,” was a keynote speaker at the Cannes Lions Festival of Creativity. Here, he revealed the holy grail of copywriter secrets. 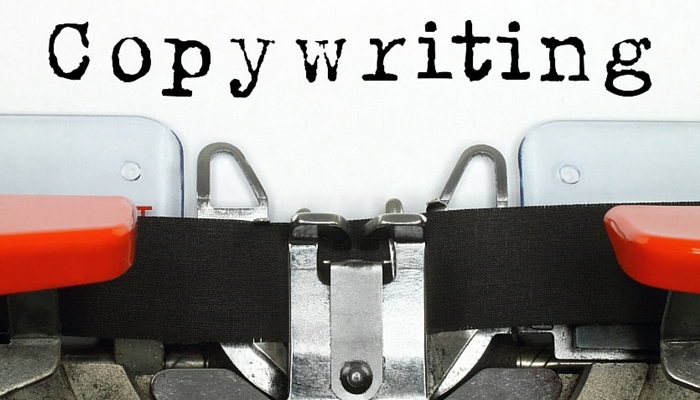 These 10 tips can be what finally takes you to the next copywriting level. Treat your headlines like pickup lines. When you start writing your copy, think about what you say as a form of seduction. Maybe your goal isn’t dinner and a date, but you do want to grab the attention of your audience, just like your opening like to a potential match is something that has to stand out. It has to be something that makes you desirable – there’s no better metaphor for your site and content copy. No more “that.” When you’re writing headlines or copy, it’s time to start deleting the word “that” from your typing vocabulary. This blasé word may seem harmless, but it’s unnecessary. Use this as an exercise to improve your vocabulary. How can you better work with your sentences in order to follow this tip? You need good visuals. This is probably a no-brainer to you, but don’t worry – there’s more value to this tip than just this. Copywriter is very much an art form, and you need to be familiar with the concept of space and how to use it well. Here’s a rule of thumb to follow: simple visuals need longer and complex headlines, while more complex visuals need simple headlines. Worry about syllables. Don’t worry about how many words are in your headline. You can have a 20 word headline that works better than a 5 word headline just because of your word choice. The trick is to take into consideration syllables. When words flow better and are easier for your audience to identify with, the more likely they are to click on and/or read the content. If you can shorten words and still sound professional (like “fridge” vs. “refrigerator”). No one-bit humor. One of the biggest go-to’s in the world of copywriting is to use humor in your copy. You know you’ve cringed at more than one headline in your lifetime, just because the pun is so awful that you can’t help but physically react. Even if you don’t use this kind of ploy now, just remember that it’s never okay. You aren’t impressing anyone – they’re laughing at you, not with you. Cut out all the fat. One common problem you see with fledgling copywriters is they overload their headlines and copy. They throw in too much fluff in order to make their headline seem more impressive, or their copy is filled with unimportant info to meet word count requirements. Instead of relying on your copy to do your work for you, put more effort into cutting down on all the fluff in your piece, no matter what kind of content it may be. Emotional, then rational. Headlines and copy only allow you to snag the audience’s attention in a very small amount of time. This means you have about a second to make sure that you have the undivided focus of a reader. You don’t do this with facts and data unless they’re mega-shockers, so put away all the data until you get to your content’s meat. Lead with something emotional – when you play on your reader’s heartstrings, you get their attention, and then you hit them with the hard facts. Method conception is your key to success. Don’t think of your message as words. When you think about your content, visualize your content as a person. When you do this, you get a better visual of your audience – when you finally craft content that speaks to your audience, you’ll be able to visualize your content as the demographic you’re targeting. This also allows you to write copy that makes a lot more sense. When you can envision someone speaking the words you write, you’ve got winning copy on your hands. These tips are all easy to implement, and most don’t require a lot of time. Absorb them and remember them as you write down your next piece of content. Do you feel like you’ve improved?